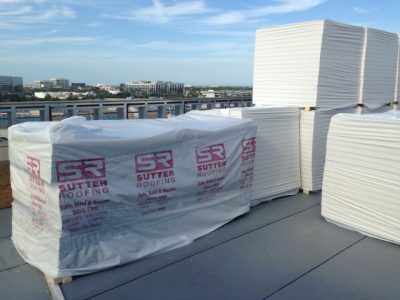 At Sutter Roofing, we’ve earned our reputation as the “go to” contractor by many of the top General Contractors in FL. Our large workforce spread throughout FL allows us to respond to tight schedules, and the ever changing construction cycle. Our best in class safety program is also a huge benefit to our clients as well as our large bonding capacity. Our diverse experience and committed workforce allows us to serve a broad range of industries, including industrial, retail, health care, government, educational and more. We have a proven track record and the resources and manpower to get any project completed – on time and on budget. Over the past century, we have installed virtually every type of roof system on new construction projects throughout Florida, allowing us to become one of the largest commercial roofing contractors in the country. If you have a new construction project, and want to find a reliable partner, we invite you to call Sutter Roofing, where quality workmanship and personal pride come standard on every job.